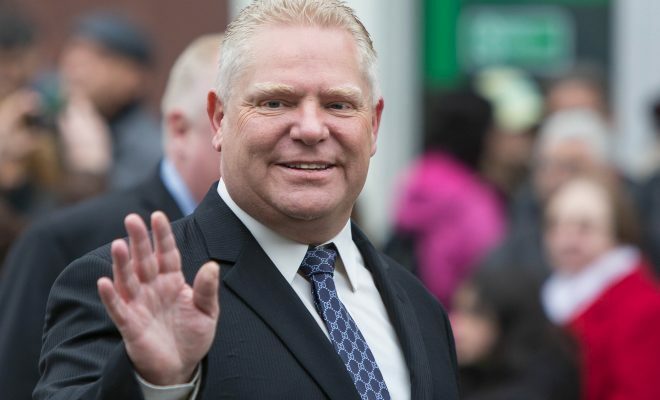 The Doug Ford government in Ontario released a budget last week that allocates job creation incentive funds for clean energy investments but cuts program funding for electricity conservation, even though the province could face electricity shortages as early as 2023. The budget commits no designated funding to the climate plan unveiled earlier this year by Environment Minister Rod Phillips, but includes unspecified dollars for a long-overdue climate vulnerability assessment, and for performance standards for industrial greenhouse gas emitters, states David McLaughlin, climate change director-Canada at the International Institute for Sustainable Development. “The good news, therefore, is that the government appears committed to what it already announced. Nothing added but nothing subtracted either. The question now becomes, when do they act and how much money will they actually commit to it?” he writes. In a budget document where only six out of 343 pages were devoted to environment policies, the province cut budgets for the Ministry of Environment, Conservation and Parks by 35%, and for the Ministry of Natural Resources and Forestry by 14%, for a combined reduction of $461 million. “Much of the budget focused on strengthening the business environment, making 47 references to the federal carbon tax and the province’s fight against it,” Observer notes, without ever mentioning the carbon tax rebates coming back to Ontarians from the federal government. “How are they going to come close to achieving goals they have in their climate plan with such a substantial decrease in funding?” asked Green Party Leader Mike Schreiner. At Efficiency Canada, meanwhile, Policy Director Brendan Haley says the budget entrenches a $200-million cut for energy efficiency programming. In their platform for last year’s provincial election, he writes, the Conservatives made an ill-considered promise to move electricity conservation programs to the tax base, but costed the commitment at $433 million, roughly the budget for conservation and demand management programs under the previous government. Then on March 21, the government announced it was winding down those programs and cutting funding to about $200 million per year through the end of next year. The remaining question was whether tax funds would be used to fill in the gap. “The budget did not provide any new funding,” Haley writes. “Which means these are real program cuts, which is not what the government promised in the election.” The results: higher costs for Ontario electricity consumers, and higher greenhouse gas emissions.